SKU: WEL-LCH+STRIPS Category: Ultrasonic Testing and Validation. Ultrasonic load check strips, also called ‘Brownes soil test strips’ are a consistent, reproducible and reliable way of keeping check on the efficiency of your ultrasonic bath. Walker Electronics Ltd recommend that test is done weekly to confirm that the ultrasonic cleaner is capable of removing soil from instruments. Buying the holder and the strips in one package will save on our normal price! 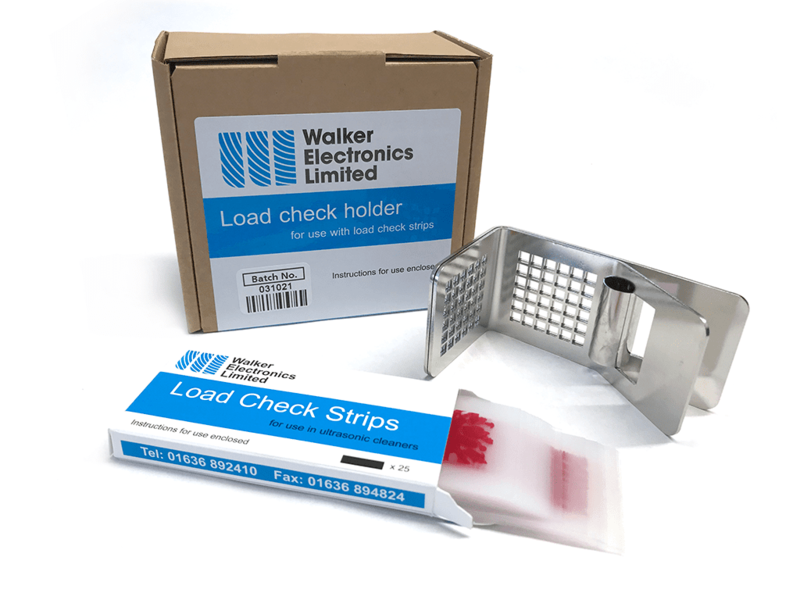 Walker Electronics Ltd. are the UK Leaders in Ultrasonic cleaning equipment, ultrasonic tanks, cleaning solutions, accessories and testing equipment. © 2019 Walker Electronics Ltd. All rights reserved.